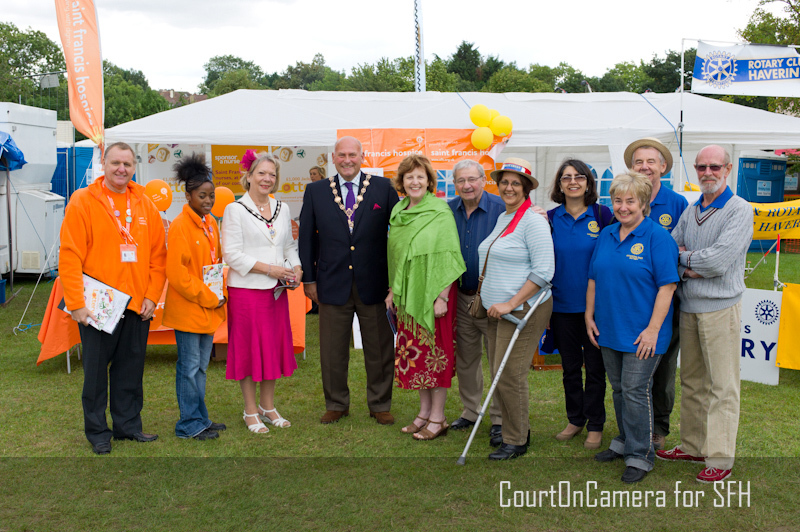 Yesterday (Bank Holiday Monday) I visited the Havering Show at the invitation of The Mayor of Havering Melvin Wallace. It was lovely to meet Lawrence Tara and Holly, volunteers on the Saint Francis Hospice Stand as well at the Rotary Club of Havering East who were raising funds for the Hospice by enticing you to try and win a car. Thank you all for you commitment and generosity towards the Hospice. This entry was posted in Fundraising at St Francis, Fundraising Saint Francis Hospice and tagged Cllr Melvin Wallace, Fundraising at St Francis Hospice, The Havering Show, The Mayor of Havering, The Rotary Club of Havering East. Bookmark the permalink.